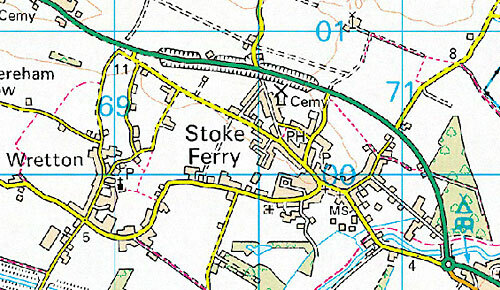 Stoke Ferry postmill stood on the east side of the Boughton Road and was possibly working earlier than its first record in 1824. My Great Great Grandfather was John Gleaves, who with his son James operated the Denver mill for many years. John’s daughter was Sarah Gleaves, who married my Great Grandfather William Henry Rose, a large farmer at Ten Mile Bank. We have carried out a wide amount of family history on all sides of our family, including greatly the Gleaves connection, and it would be very good to exchange info with Sally Leaworthy in particular. The name Porter is frequently encountered around Hilgay, Southery, and Ten Mile Bank. As a matter of further interest, we are related to the Pollards, (through my Proctor grandmother), who operated the mill at Stoke Ferry - we are not so forward with our searches in that direction just yet.